Nxtty mobile app has launched! The Nxtty Cryptomessenger is now officially released for Android. Dedicated nxters started celebrating yesterday when landomata, founder of NMAC (Nxt Mobile Applications Company), made this long awaited announcement in the Nxtty-thread on nxtforum.org. 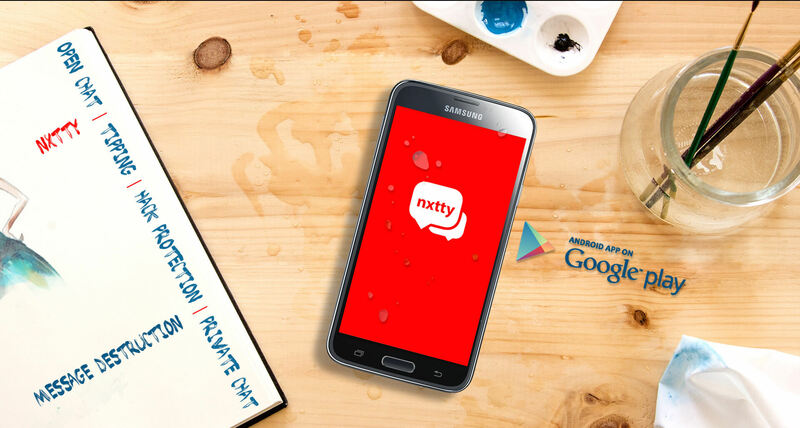 Nxtty has been submitted to GooglePlay. Nxtty Cryptomessenger has been in active development since landomata first proposed the idea in the infamous Nxt Mega-thread. In today’s world of technology, messaging has become one of the most common and popular ways in which people communicate. As the number of users increase every day, so does the insecurity level. There are hackers who have mastered the skills that enable them to access people’s messages and gain knowledge of vital information. This has become a major concern especially in a world where humanity has come to be so dependent on technology. Everybody values their privacy and security. For this reason Nxtty introduces secure crypto messaging. Nxtty is a safe and secure way of sending and receiving messages in the modern world. CRYPTOMESSENGER – All messages are encrypted from app to app, so your messages are safe and secure. There is no Man in the Middle attack for Nxtty as encrypt/decrypt of messages is done by the Nxt platform. MESSAGE DESTRUCTION – Automatic & manual message delete options provide you more ways to remove messages. PRIVACY PROTECTION – Nxtty does not use your phone contact list or social media connections. OPEN CHAT – Chat room style messaging open to anyone where you can post images, comments, links while discussing great topics. TIPPING – Send Tips of Nxttycoins instead of likes, post great content and get Tipped in the Nxttycoin crypto currency. The Nxtty Cryptomessenger application also features App to App free calling. Nxtty Messenger will soon be on the App Store for iPhone. PC/Windows version is planned in the near future. Nxttycoins is a new digital currency, invented by NMAC, launched on the Nxt Asset Exchange. With Nxttycoins you can buy in app services, tip your friends, contacts, or just people you see post in one of the open chat groups. For example, instead of liking a post, you can give them some Nxttycoin as a tip that they can spend, or keep. When a user receives tips, Nxttycoins will simply go into their Nxtty wallet. These Nxttycoins will later be eligible for use with Bitcoin and other outlets, allowing users to convert Nxttycoins to “true” currency. Nxttycoins are currently traded on the Nxt Asset Exchange and on BTer. The first 100,000 registered users will receive 2,500 Nxttycoins to keep and spend within the messaging app. In addition to being a currency, Nxttycoins represent shares in NMAC. This means that by owning Nxttycoins you also own a part of the application company itself! The first 100,000 registrants will receive a cumulative 25% ownership stake in Nxtty. As a part of the company, the initial users will be able to exercise their ownership power through in-app voting on major issues affecting Nxtty. This first-time business model is an authentic blend of social enterprise and technology, bringing people together from all over the world in one business. This report is for general information and news purposes only. It does not take into account the reader’s personal circumstances, objectives or attitude towards risk. It is not (and is not intended to be) any form of advice, recommendation, representation, or endorsement by the author or the web site owner and should not be relied upon when making (or refraining from making) any investment decision.